Australian telecommunications and internet service provider, TPG (ASX:TPM), has reported a 75 per cent surge in earnings for the year ending July, with iiNet delivering $242.6 million in earnings for the company since its acquisition last year. In its latest full-year annual financial result, published on September 20, TPG reported pre-tax earnings (EBITDA) of $849.4 million and net profit after tax (NPAT) of $379.6 million for the financial year ending July, representing a 69 per cent rise on 2015. The latest financial statement is its first full-year result since the publicly-listed company acquired 100 per cent of iiNet in a $1.4 billion deal first announced in March last year. The company had previously held 6.25 per cent of the company. 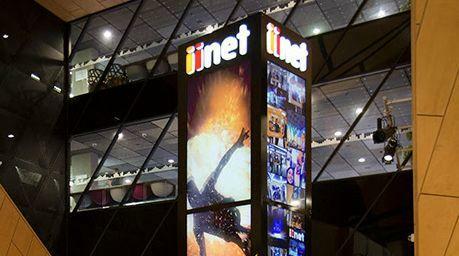 According to TPG, as of July 31, iiNet had delivered a “maiden contribution” of $248.9 million in the 11 months since its acquisition, but also ate up $6.3 million of restructuring costs from integration activities associated with the acquisition. TPG told shareholders that the principle drivers of the business’s growth during the year were the “realisation of post-acquisition integrative benefits,” nine months of lower access costs arising from the Australian competition watchdog’s final fixed-line services access determination, and an increased contribution from Tech2, which is part-owned by iiNet. According to TPG, iiNet claimed 983,000 broadband subscribers as of July 31. Across the group, TPG reported an 88 per cent boost in revenues for the year, to $2.4 billion. The company’s corporate division saw 11 per cent growth in pre-tax earnings, to $269.3 million. The company has pointed to strong sales in the division and margin expansion as being behind this growth. Meanwhile, TPG’s consumer division saw a seven per cent rise in pre-tax earnings, to $255.7 million, driven by organic growth arising from broadband subscriber growth, which was up by 64,000 for the year. Looking forward, TPG expects to see pre-tax earnings of between $820 million and $830 million for the financial year ending 2017. The latest financial results come as TPG makes a move to expand into the Singapore market, after submitting an Expression of Interest (EOI) to prequalify for the country’s wireless mobile spectrum auction. At the time of writing, TPG shares stood at $9.865.